Where is the quantum computer. Nothing else matters. Maudlins "Reply to Werner" is not a reply to the post you refer to. It is a reply to a comment by Werner which is going to appear in the same special issue of Journal of Physics A as Maudlins "What Bell did" and his "Reply to Werner". As far as I know, Werners comment is not available online. Justifying these claims requires responding to the challenge Maudlin makes to Werner, transposed to your version of the argument. That is, you must show where “classical realism” is presupposed in Bell's argument. I'm still struggling to understand whether Maudlin and Travis Norsen are right that quantum mechanics cannot be local, or whether Reinhard Werner is right that quantum mechanics can be local if it is "non-realist." I expect Maudlin and Norsen need to argue that Werner's realism criterion (which is rejected in Werner's "operational" quantum mechanics, a.k.a. Copenhagen) is equivalent to Norsen's Non-Solipsism criterion, and thus that Copenhagen is either solipsist or non-local. Werner on the other hand presumably would argue that the elements of Copenhagen are sufficiently non-solipsist. But I do know enough to strongly object to the blog's final sentence: "If realism means that the world is ruled by classical hidden variables, then realism has been disproved by quantum mechanics and Bell's theorem." Bohmian mechanics contains hidden variables, agrees with quantum mechanics, and yet is not disproved by Bell's theorem. 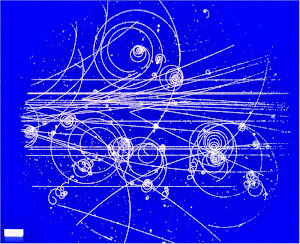 I wish the folks debating whether quantum mechanics can be local would set aside (for the time being) the issue of what Bell and Einstein said, wrote, or did (which are questions for historians) and focus (for now) on proving locality or non-locality theorems, in particular with regard to Copenhagen, and making the theorems understandable by the lay public. presupposes realism when he uses the symbol Lambda in his derivation. Here is how Bell characterizes the significance of Lambda: 'Let this more complete specification be effected by means of parameters Lambda. It is a matter of indifference in the following whether Lambda denotes a single variable or a set, or even a set of functions, and whether the values are discrete or continuous.' There is obviously no physical content at all in the use of the symbol Lambda here. Bell makes no contentful physical supposition that can be denied." I think Bell makes one contentful physical supposition, where he asserts Lambda is 'more complete.' Did this mean Bell assumed Lambda contains at least one element of reality that isn't part of Copenhagen? If so, why does Maudlin believe the extra element(s) that are in Lambda but are not in Copenhagen cannot reasonably be "denied" by Copenhagen adherents? On 2014-08-23, Anonymous wrote that Werner's comment about Maudlin's 'What Bell Did' paper was apparently not available online. It currently is available online at http://iopscience.iop.org/1751-8121/47/42/424011/pdf/1751-8121_47_42_424011.pdf (and possibly at other websites too). Werner's comment was dated April 22 2014 and it titled "Comment on ‘What Bell did’." Maudlin posted a reply online on 2014-08-08 that can be downloaded from http://arxiv.org/abs/1408.1828 (and possibly from other websites). Werner continued his debate with Maudlin on 2014-11-14 with a paper titled "What Maudlin Replied To" which can be downloaded from http://arxiv.org/abs/1411.2120 (and possibly from other websites). 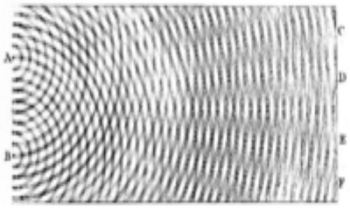 This stuff is also debated by Werner and other physicists/mathematicians/etc (including Maudlin) in a blog+comments at http://tjoresearchnotes.wordpress.com/2013/05/13/guest-post-on-bohmian-mechanics-by-reinhard-f-werner/ which is worth reading.